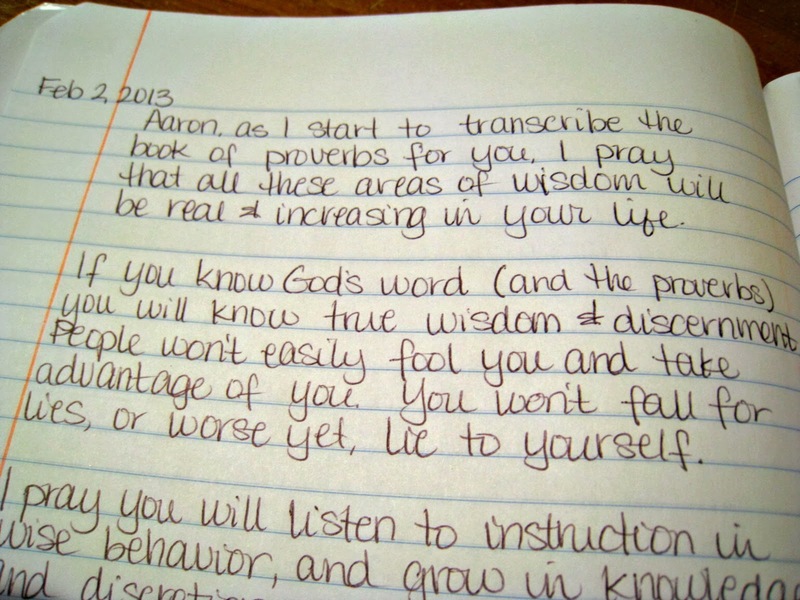 Today is the day I FINISHED transcribing the book of Proverbs for my son! I'm so excited! 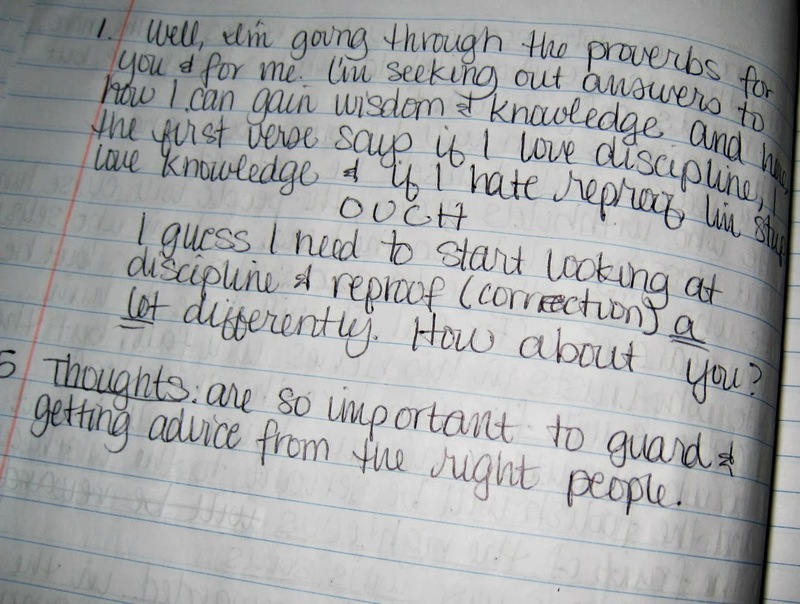 It has been just a little over a year since I first cracked open that composition notebook and wrote out the first 9 verses on the right side page, and a note to my son on the left page. There is so much wisdom packed into this book of the Bible. So much I want to talk over with all of my boys. So much I want them to remember. Transcribing the Proverbs hasn't always been fun. It's just been plain old hard work some days. But the act of just doing it. 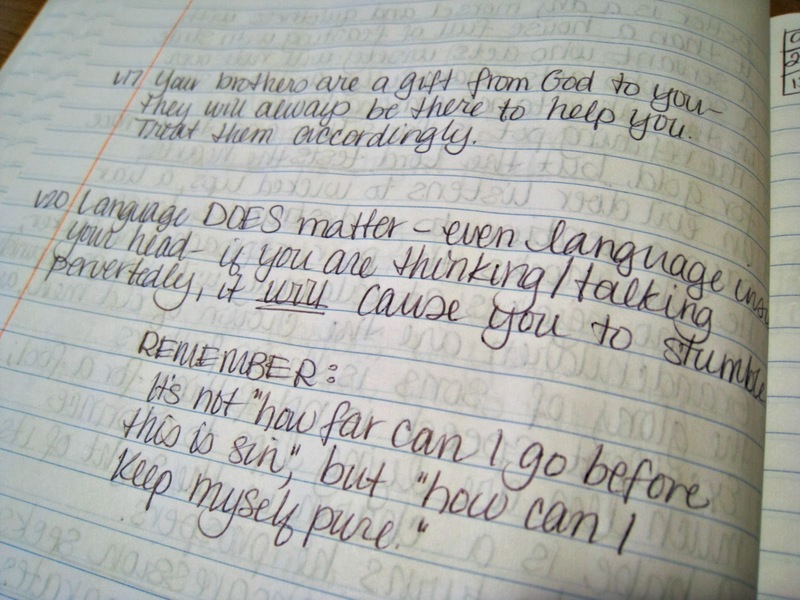 Just sitting down and writing out each verse, word by word, comma by comma, has been an amazing blessing to me. It has helped me clarify how some of these verses fit directly into our lives and how to think through and write that out for my son. It has absolutely been a blessing to me. And I pray it will be to him too. I carried him through this process with me. Constantly thinking of him, his struggles, his gifts, and carrying on a continual conversation with him as I wrote everything down. (when I'm a little more sure that it won't end up on the floor, stepped on, or slip behind his dresser or in his hamper). And I pray it will be the start of an unquenchable hunger for His word. I have two more sons. Two more times through the book of Proverbs. 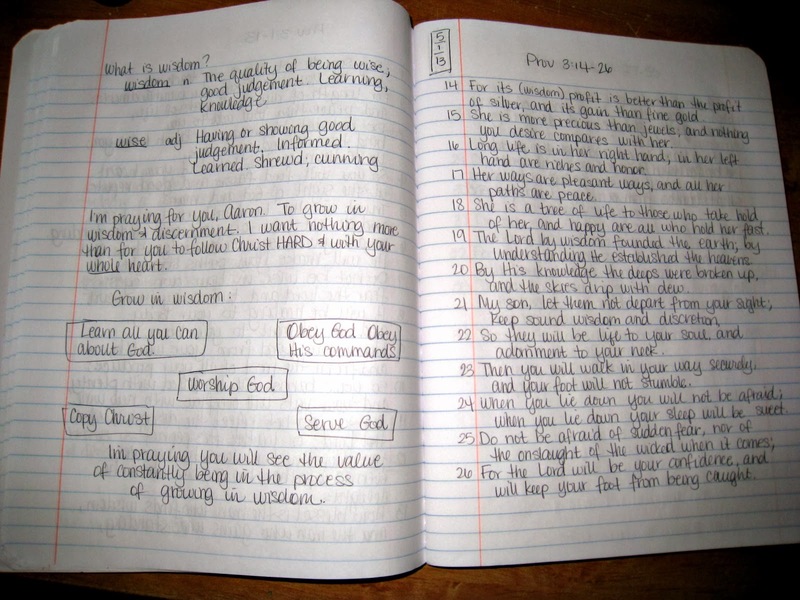 The best time to start transcribing the book of Proverbs for your children is one year ago. What an act of motherly love! These boys are lucky to have you inspiring their faith and loving them day in and day out. I'm about to go to bed, dear life coach, I swear! But before bed tonight I am sitting here eating up your blog! I could cry with gratefulness for God blessing me with you in my life. Your wisdom and your wonderful ideas- and the beauty that you give to it all. This proverbs-writing thing is wonderful. A huge task that any son would be immensely blessed by. And your making it through the whole OT- I'm so proud of you! And your morning routine... well, thats just amazing! (and yes, I know we are in different stages but it was SO interesting to see how you tweaked it over time) Thank you for all your wonderful blogging, your friendship and support! You are awesome, Kari! You are so sweet, MacKenzie, and I could say the same for your blog and life. I am so blessed God created the gift of friendship and Christian family. Iron sharpens iron!